Prosecution says application not maintainable in law. Hours after repair and maintenance work at vulnerable spots along the Pune-Mumbai expressway was completed, a landslide was reported near the Khandala tunnel around 3.30 pm Saturday. It disrupted the flow of traffic towards Mumbai. 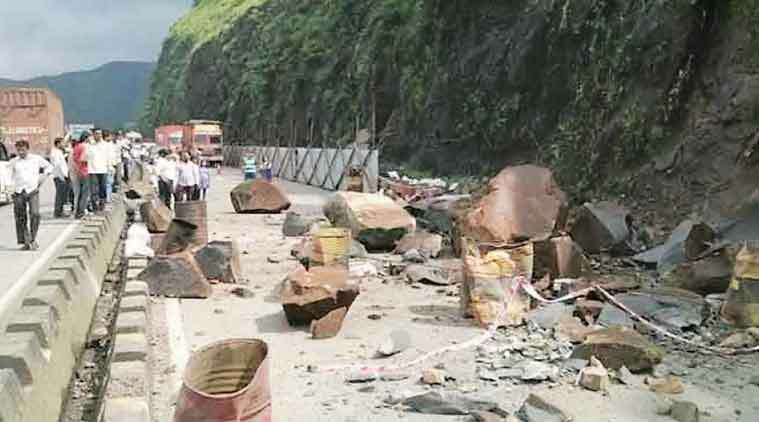 The highway police, the Maharashtra State Road Development Corporation, officials of the IRB company and the private agency that carried out repair and maintenance work on the expressway immediately rushed to the spot after being intimated about the landslide. On July 19, a landslide near Adoshi tunnel had killed two persons, after which the government had ordered repair and maintenance work on the stretch.